The show finds Jesus living in present day Compton, CA on a daily mission to spread love and kindness throughout the neighborhood with the help of his small but loyal group of downtrodden followers. The series stars newcomer Gerald "Slink" Johnson (Grand Theft Auto V) as Black Jesus, and also stars Charlie Murphy (Are We There Yet), Corey Holcomb (The Cleveland Show), and John Witherspoon (The Boondocks, The First Family). First aired August 7th, 2014. The speedy blue hedgehog gets a new look in this comedy/adventure series that sees him battling a familiar foe with sidekick Tails and pals Knuckles, Amy and Sticks. The gang tries to ward off the evil plans of Dr. Eggman, who is hellbent on taking over the world. Sonic faces regular battles with Eggman's henchmen, including loyal robots Orbot and Cubot, evil interns, and giant, robotic monsters. Everyone's favorite fat cat Garfield returns to television in this new CG animated cartoon. To celebrate his 30th anniversary, every one of your favorite characters return too. Jon, Odie, Arlene, Nermal, and more return in the new series as well. Created by Dargaud Media in Paris, France. First aired November 2nd, 2009. “Johnny Test,” marketed under Cookie Jar’s action adventure brand Coliseum, chronicles the adventures of a fearless 11-year-old boy, his genetically engineered super dog, Dukey, and his 13-year-old super genius brainiac twin sisters, Susan and Mary, who use Johnny as their guinea pig for their out-of-this-world scientific experiments. Johnny is the ultimate test pilot where no mission is too unbelievable, no challenge is too great, no villain is too menacing – and no sister-created concoction is too wild. As long as his dog, Dukey, can come along, Johnny gives it a go! 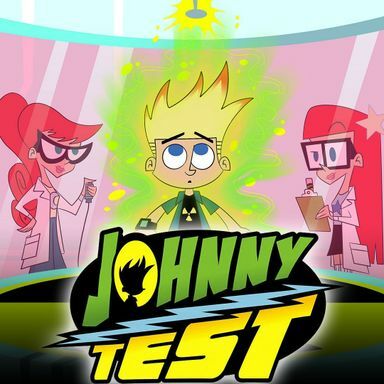 “Johnny Test” premieres its new season Saturday, September 22 on Kids’ WB! on The CW. First aired September 17th, 2005. 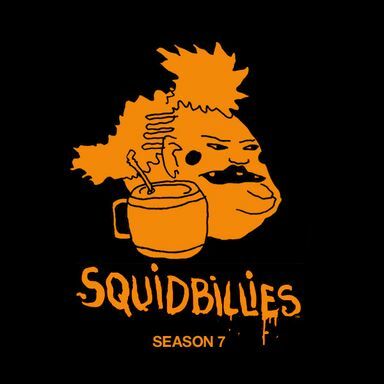 Follows the adventures of the Cuylers, an impoverished and dysfunctional family of anthropomorphic, air-breathing, redneck squids who live in a rural Appalachian community in the US state of Georgia. First aired October 16th, 2005. 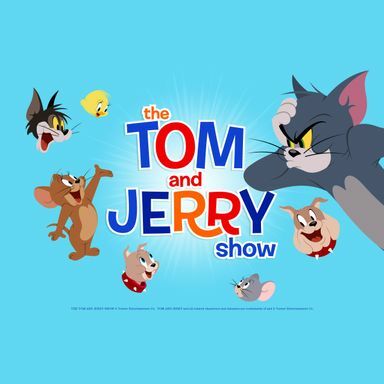 One of the world’s most beloved cartoon duos returns to television in The Tom and Jerry Show, a fresh take on the classic frenemies coming soon to Cartoon Network. Comprised of two 11-minute shorts, each episode will feature Tom the cat and Jerry the mouse plotting against each other—with Tom’s determination matched only by Jerry’s own cleverness in evading capture. But this time the cartoon mayhem will not be limited to only Tom and Jerry’s traditional suburban setting. In The Tom and Jerry Show, the title characters’ nonstop game of cat and mouse will expand to also include more fantastic worlds, from a medieval castle to a mad scientist’s lab. Preserving the look, core characters and sensibility of the original theatrical shorts, The Tom and Jerry Show shines a brightly colored, high-definition lens on a never-ending battle that has set the standard for cartoon rivalries. After all, with a setup as elementary as a determined cat chasing a resourceful and mischievous mouse, the possibilities (and laughs) are endless! Sam Register (The Looney Tunes Show, MAD, Teen Titans) serves as executive producer on The Tom and Jerry Show. The series is being produced by Warner Bros. Animation in conjunction with producers Darrell Van Citters and Ashley Postlewaite at Renegade Animation. Warner Bros. Animation (WBA) is one of the leading producers of animation in the entertainment industry, with an innovative and talent-rich roster boasting some of the most accomplished writers, producers and artists working today. The studio is on the cutting edge of animation technology and has both CG and traditionally animated projects in current production and development. For TV, WBA produces series such as Green Lantern: The Animated Series, The Looney Tunes Show, MAD, Scooby-Doo! Mystery Incorporated and Young Justice: Invasion, as well as the forthcoming Beware The Batman and Teen Titans Go! for Cartoon Network. WBA also produces series and additional original content — including animated shorts — for Cartoon Network’s multiplatform branded DC Nation programming block. In addition to TV programming, WBA produces theatrically released CG cartoon shorts featuring iconic Looney Tunes characters, rendered in stereoscopic 3D. WBA also creates the highly successful series of DC Universe Original Animated Movies for DVD. Producing for multiple platforms including TV, digital and home entertainment both domestically and internationally, WBA is highly respected for its creative and technical excellence, as well as for maintaining the Studio’s rich cartoon heritage. It is also the home of the iconic animated characters from the DC Comics, Hanna-Barbera, MGM and Looney Tunes libraries. One of the most-honored animation studios in history, WBA has been honored with six Academy Awards®, 35 Emmy® Awards, the George Foster Peabody Award, an Environmental Media Award, a Parents’ Choice Award, the HUMANITAS Prize, two Prism Awards and 20 Annie Awards (honoring excellence in animation). Cartoon Network (CartoonNetwork.com) is the #1 U.S. television network among boys 6-11. Currently seen in 99 million U.S. homes and 178 countries around the world, Cartoon Network is Turner Broadcasting System, Inc.’s ad-supported cable service now available in HD offering the best in original, acquired and classic entertainment for kids and families. In addition to Emmy-winning original programming and industry-leading digital apps and online games, Cartoon Network embraces key social issues affecting families with solution-oriented initiatives such as Stop Bullying: Speak Up and the Move It Movement. First aired March 1st, 2014. First aired October 1st, 2015. Lion-O and the ThunderCats — Tygra, Panthro, Cheetara, Wilykat and Wilykit — barely escape the sudden destruction of their home world, Thundera, only to crash land on the mysterious and exotic planet of Third Earth. Lion-O, the newly appointed Lord of the ThunderCats, attempts to lead the team as they make this planet their new home. A bizarre host of creatures and villains stand in their way, including the evil Mumm-Ra, Third Earth’s wicked ruler who will let nothing, including the ThunderCats, stop his tyrannical reign over the planet. The series is a prequel, featuring the high school years of Flint Lockwood, the eccentric young scientist in the films. In his adventures, he will be joined by Sam Sparks, a new girl in town and the school's "wannabe" reporter, along with Flint's dad Tim, Steve the Monkey, Manny as the head of the school's audiovisual club, Earl as a school gym teacher, Brent as a baby wear model, and Mayor Shelbourne, who wins every election on the pro-sardine platform. Wabbit is an animated series starring Bugs Bunny. The series features many other Looney Tunes characters including Wile E. Coyote, Yosemite Sam, and the Tasmanian Devil. Chris Elliott stars as Marshal Chris Monsanto in EAGLEHEART, a new show that promises action, cars, suspense, conversations, intrigue, buildings and copious amounts of needless bloodshed in every episode. Aided by his sidekicks Brett and Susie, and under the watchful authority of Chief, Monsanto's goal is always the same: to punch people so hard that they explode. First aired February 3rd, 2011. Horace, Roba and Alfe, the creators of a unique detective agency, work to solve the mysteries around the universe. First aired April 4th, 2011.